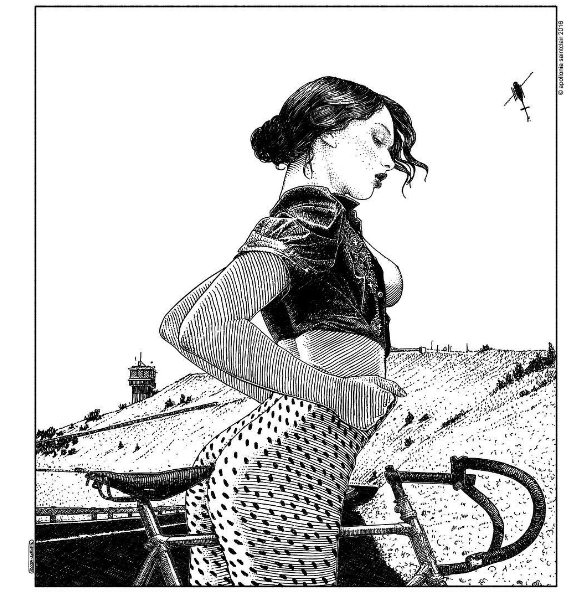 Those looking for a daily dose of erotica to charge up their Instagram feed need not look any further than the sensual illustrations of European artist Apollonia Saintclair. Note that the name is simply an alias–the artist has chosen to hide her true identity in order to separate her personal life from her public life. She works a day job and creates her seductive artworks in the wee hours of the morning. “I am interested in wonders–and demons. We are all made of mud, yet we all have moments where we transcend the everyday…Sexuality on the other hand is an interesting and very revealing angle because it is literally a melee with life,” shares the artist in an exclusive interview with Nakid Magazine. Peruse a few of her sexually-charged black and white illustrations below and follow the artist on Instagram at ‘apolloniasaintclair_’.